Researchers can now quickly and accurately count a hidden, inactive form of the human immunodeficiency virus (HIV) that lurks in patients' cells. 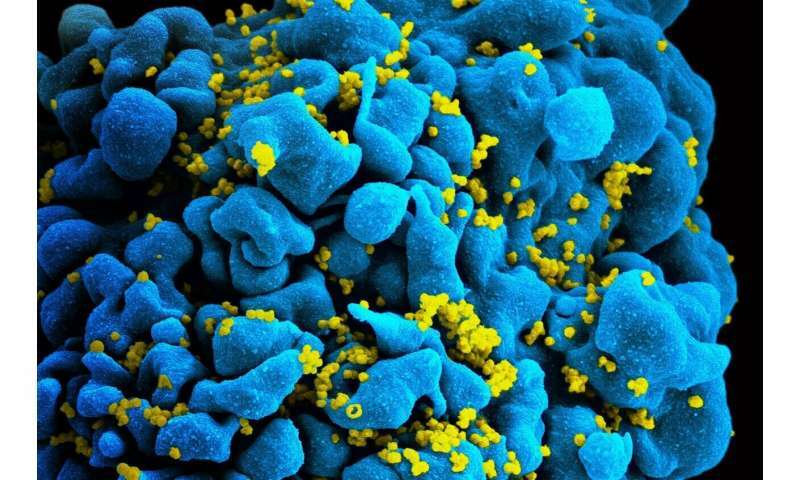 This version of HIV embeds into cells' genomes and can persist despite otherwise successful therapies—thwarting attempts to cure the infection. Previous tools overestimated the number of this HIV form by 10-to-100-fold, potentially obscuring meaningful declines produced by experimental therapies, according to his team's report in the journal Nature on January 30, 2019. "We may still be a long way from a cure," he says, "but now at least we can measure our progress." Current HIV therapy involves combinations of antiretroviral drugs, each of which inhibits a specific stage of the HIV lifecycle. When drugs that block two or more stages are given to a patient simultaneously, the virus cannot replicate, and its presence in the bloodstream drops below detection limits. This relieves patients' symptoms and keeps them healthy for decades. But the virus sticks around in the body, in a latent form that's challenging to detect, much less count; HIV's genetic instructions, or template, remain integrated within the genome of certain cells. HIV exclusively infects immune cells called CD4 cells. A subset of these routinely become dormant and store a record of known infectious agents. Like vivid memories, these cells persist indefinitely. But their persistence comes with a downside: they can unwittingly safeguard the instructions for making HIV. Once the cells are "awakened," these viral templates snap back into action making viruses. 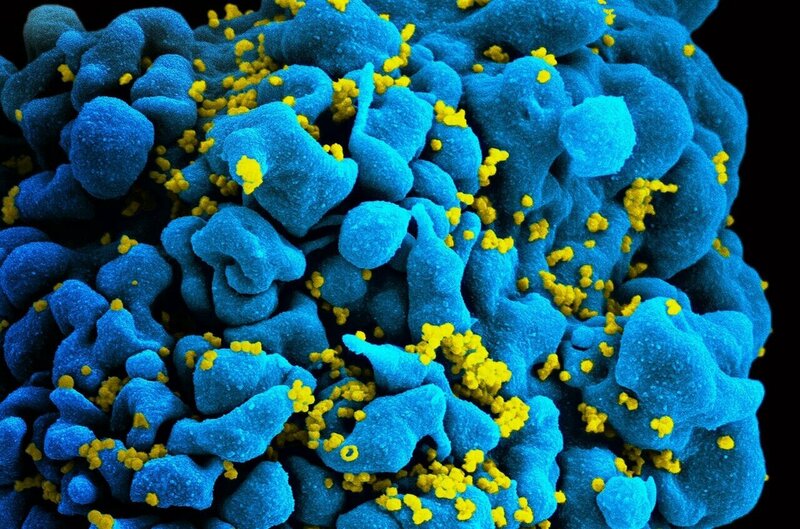 So patients infected with HIV must remain on antiretroviral therapy forever—unless scientists can figure out how to destroy this so-called "latent reservoir" of HIV. The first step is figuring out how big each patient's latent reservoir is, so researchers can track their progress depleting it. But that's been a serious challenge, says Siliciano, an HIV researcher at the Johns Hopkins University. When he and his lab members first demonstrated the existence of the latent reservoir in 1995, they did so using a technique they developed called quantitative viral outgrowth assays (QVOAs). The method involves growing HIV-infected cells in the lab, which is difficult and takes weeks to complete. To skirt those issues, most scientists use a simpler technique that relies on a genetic reaction called PCR to measure how much viral DNA is present in CD4 cells. The problem, says Siliciano, is that 98 percent of the HIV instruction books are so defective they're harmless, so the method overestimates the number that matters to patient health. Siliciano's team instead designed a PCR reaction that can distinguish between defective and intact viral templates, using fluorescent probes in two different colors. The probes target areas prone to mutations that can cause defects, and a color read-out indicates whether the HIV instructions are defective or not. That means that scientists can use the new technique to assess whether a given intervention—an experimental drug, or cocktail of drugs, for example—is affecting the pool of hidden HIV instructions that actually threaten patients' lives. "For decades, the field has been clamoring for an accurate measure for these hidden viral templates," Siliciano says. "Now, we have a good way to know if we are making a dent in their numbers."